Are you wondering whether or not to take your fridge, stove, or dishwasher with you when you move? 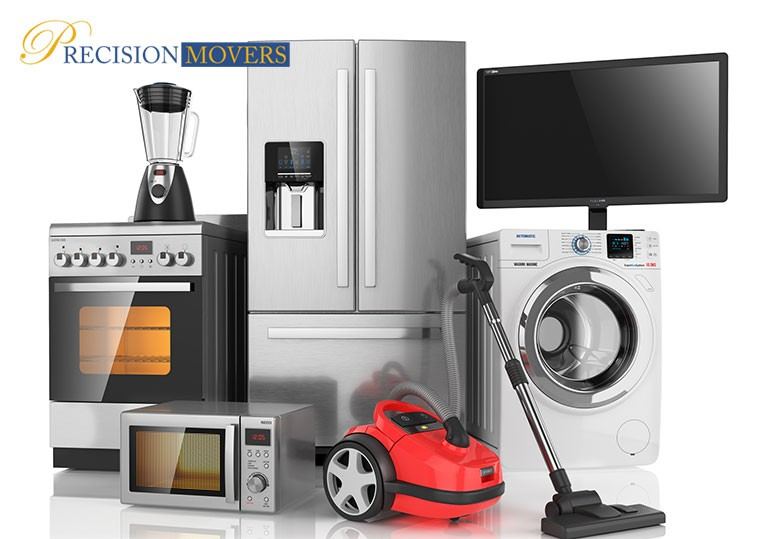 Here are some tips from our professional Calgary movers about relocating with your appliances. Where is this going to go in the new house? How easy is it to replace? Is it practical, or just pretty? These questions shouldn't just be applied to decor, but to appliances. Should You Leave Your Appliances Behind When You Move? 1. Are You Willing To Hire Professional Movers And Ensure Items Are Packed Correctly? Your large appliances may seem strong enough to withstand the typical bumps associated with moving, but in reality, they rely on complex electronics that can easily suffer damage if you don’t pack them with care. To properly move your dishwasher, you’ll have to disconnect all the hoses, drain them, and allow the appliance to dry fully. If it’s still wet when you move, you may see mold and mildew buildup when you arrive in your new home. When you pack up your gas stove, it’s necessary to hire a certified technician to disconnect it from the gas line and seal any openings, or else you’ll increase the risk of a house fire. To ship your refrigerator, you’ll have to remove any loose parts (such as shelves and drawers) and then pack them separately. It also needs to dry completely, otherwise, you may get mould buildup in the water reservoir. In all the busyness of packing up your belongings, taking all these extra steps and precautions can cause you unwanted hassle, especially if you’re moving in a hurry. If you're not willing to pack carefully or hire experts, it may be best to leave your appliances behind. 2. Do You Want To Keep Relocation Costs Low? Moving comes with a lot of expenses, from packing supplies to hiring a moving team. Though you may carefully plan your budget and anticipate every expenditure, you may find that heavy appliances could increase your moving costs significantly. Why? Large appliances take up a lot of space in the moving truck and their weight makes loading and unloading them a difficult process. Since many movers will determine your bill based on weight and volume, a refrigerator or dishwasher can take up a large portion of your budget. Tip: When you compare the cost of unhooking, loading, shipping, and re-installing your old appliances to the cost of buying new ones, you may find that the latter option can be much more cost-effective! However, if your appliance is custom or vintage, you may decide that bringing it is worth the added expense. 3. Could Parting With Appliances Boost Your Home's Sale Price? One of the biggest reasons why you should leave your appliances behind is that they could help you sell your home faster and increase its value. First-time homebuyers often don’t have their own fridges, dishwashers, or stoves, so may be willing to give a property with the latest appliances priority over those that don’t. How can you make the most of this? Use your beautiful stainless steel refrigerator or gas-stove as a bargaining chip when you create your listing. Your realtor can assess your home’s value based on the condition of your appliances, and you may earn more on the sale! Whether you want to move your valuables, luxury furniture, or large appliances, our Calgary movers have the skills, knowledge, and expertise to transport your belongings safely from one home to another. Want to know more about our relocation services? To find out more about the costs of moving luxury furniture, safe boxes or large appliances contact our Calgary movers at 403-540-4393 or fill in our online contact form.